Square 5" (folded) 3-ply napkins with 1" ribbed edges on 2 sides. These can be printed in a variety of fonts and font colors. 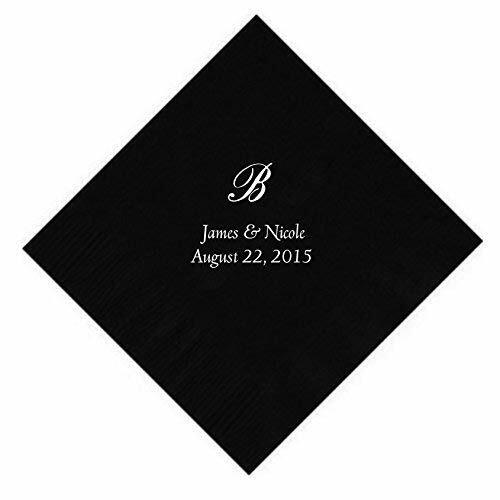 Note that the monogram style is set in the font shown on the napkin, even if you select a different font for the text, the initial you select as the monogram will be imprinted using the font shown as an example.